US Deputy Secretary of State Bill Burns and Under Secretary of State Wendy Sherman will lead a US delegation to meet with Iranian nuclear negotiators in Geneva on June 9-10, US and Iranian officials said Saturday. The bilateral meetings come as negotiators intensify efforts to see if they can reach a final nuclear accord by July 20, when a six month interim deal expires, or if they will need to extend the talks for another six months. The meetings are taking place “in the context of the intensified E3/EU+3 negotiating process,” and are coordinated by European Union foreign policy chief Catherine Ashton, her spokesman Michael Mann said Saturday. Ashton’s deputy, EU political director Helga Schmid will join the US Iran consultations in Geneva, he said, and other bilaterals will follow in the next days. The US delegation will include, in addition to Burns and Sherman, Vice President Biden’s national security advisor Jake Sullivan, deputy US negotiator Amb. Brooke Amderson, senior arms control advisor Jim Timbie, and NSC senior Middle East advisor Rob Malley, among others, a State Department official told Al-Monitor. Iran will hold separate meetings with Russian negotiators in Rome on June 11-12, Iran’s IRNA news agency reported Saturday. Iranian Deputy Foreign Minister Abbas Araghchi on Saturday announced that Iran would hold bilateral meetings at the deputy foreign minister level ahead of the next P5+1 Iran nuclear talks, due to be held in Vienna June 16-20. Burns led a secret US diplomatic “back channel” to Iran last year that culminated in the signing of the interim nuclear deal, known as the Joint Plan of Action, in Geneva last November. Burns’ secret team included Sullivan as well as then NSC Persian Gulf advisor Puneet Talwar, now assistant secretary of state for political military affairs, who has been succeeded by Malley. Burns has announced he will retire in October. The EU’s Ashton, the lead international negotiator for the six world powers, is also due to finish her term in October, adding impetus to complete the negotiations by then. Until now, the US and Iran have not pursued the bilateral channel to advance final deal talks this year, outside of meetings on the sidelines of the P5+1 Iran negotiations in Vienna, US and Iranian officials have said. Notably, unlike the secret US-Iran meetings held in Oman, Geneva and New York last year, the US-Iran meeting in Geneva Monday was announced by both sides. US officials said Saturday it made sense to bring the bilateral channel negotiators involved in advancing the interim deal last fall into the discussions at this critical time. “The Iranians, in particular, need to come back with much more flexibility on enrichment, and the U.S. team will also need some creative ideas to address Iran’s ‘practical needs’ argument,” Kahl, now a professor at Georgetown University and senior fellow at the Center for New American Security (CNAS), said, referring to the amount of enrichment capacity Iran will need to fuel power reactors and produce medical isotopes. Iran, in turn, is concerned about the pace of sanctions relief in a final deal, and has balked at a P5+1 proposal that would unwind sanctions on a phased, step by step basis, over as long as a decade or two. Iran also wants to limit the amount of time it would be required to submit to highly intrusive inspections and transparency measures that it fears could be abused by adversaries to snoop on its defense capabilities. “The addition of Burns and Sullivan, who were essential to the success of behind-the-scenes diplomacy last year, and the bilateral nature of the talks suggests something may be up,” a former senior U.S. official told Al-Monitor Saturday. “Together with recent news that [Iran Supreme Leader] Khameini is telling hardline critics to get in line behind Iran’s negotiating team, it seems to suggest that negotiations are entering a very serious phase,” the former American official said. U.S. Ambassador to Iraq Robert Stephen Beecroft is expected to be nominated to be the next US envoy to Egypt, U.S. officials and diplomatic sources tell Al-Monitor, after the Cairo embassy has been without a full-time U.S. ambassador for several months. Beecroft, who has served as the top American diplomat in Baghdad since 2012, is a career foreign service officer who previously served as executive assistant to both then-Secretary of State Colin Powell and Condoleezza Rice, as well as former US Ambassador to Jordan. He has also served at US embassies in Riyadh, Damascus and in the State Department’s Bureau of Near Eastern Affairs and Executive Secretariat. Al-Monitor previously reported that current US envoy to Jordan Stuart Jones is expected to be nominated to succeed Beecroft as US ambassador to Iraq. Neither Beecroft nor Jones responded to queries. The anticipated nominations come as Secretary of State John Kerry informed Egyptian Foreign Minister Nabil Fahmy Tuesday that he will certify to Congress that Egypt is complying with its strategic commitments to the US to counter terrorism and proliferation as well as with the Egypt-Israel peace treaty, the State Department said in a read-out of the phone call Tuesday. The certification is expected to make way for the US to release Apache helicopters to Egypt. Kerry, in the call, however, “noted that he is not yet able to certify that Egypt is taking steps to support a democratic transition,” State Department spokesperson Jen Psaki said in a statement. Fahmy is due to travel to Washington next week, after a stop in San Francisco. Kerry is also scheduled to meet with Egyptian General Intelligence Directorate Mohamed Farid El-Tohamy at the State Department Wednesday. Former U.S. Ambassador to Egypt Anne Patterson left Cairo last August, and was confirmed as Assistant Secretary of State for Near Eastern Affairs in December. Then-US Syria envoy Robert Ford had been expected to succeed her, but the nomination did not proceed, amid lingering Egyptian suspicions that the US was sympathetic to Egypt’s ousted, elected Muslim Brotherhood President Mohamed Morsi and associated Islamist factions in Syria’s rebel movement. Ford retired from the State Department at the end of February. Deputy Secretary of State William Burns, the veteran U.S. diplomat who helped President Obama open a back channel to Iran last year, will retire from the Foreign Service in October, Secretary of State John Kerry announced Friday. “It is hard to find words adequate to express who Bill Burns is, and what he means not just to the State Department, but to American foreign policy,” Kerry said in a press statement Friday. 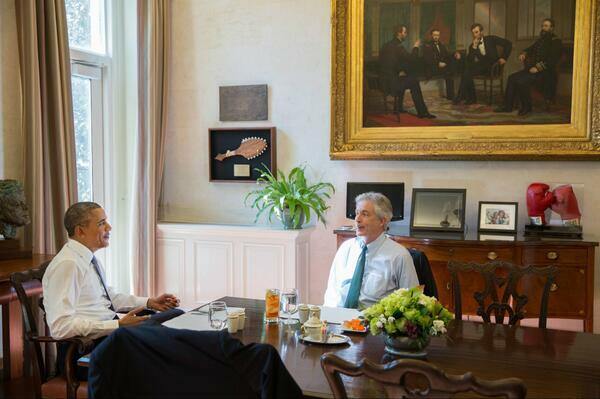 “Like so many others who worked with him, I have seen Bill Burns as a mentor– [and] have learned so much by watching how he does his job,” Deputy National Security Advisor Ben Rhodes wrote on Twitter. Burns, in an interview with Al-Monitor in January, said while reaching a comprehensive nuclear deal with Iran would be very challenging, it should be achievable. “The truth is, at the end of the day … if Iran wants to demonstrate that it is has no interest in pursuing a nuclear weapon … we’ve made clear…we accept a civil nuclear program for Iran, then it should not be impossible to reach an agreement,” Burns said. Burns is only the second career Foreign Service officer to be confirmed as Deputy Secretary of State. He has previously served as US Ambassador to Russia, Under Secretary of State for Political Affairs, and Assistant Secretary of State for Near East Affairs, among many other positions in his 32 year diplomatic career. Sources told Al-Monitor that Burns considered retiring last year, but President Obama personally asked him to stay to pursue the Iran diplomatic channel at a critical moment, which he did. Diplomatic sources previously considered State Department counselor Tom Shannon, Under Secretary of State for Political Affairs Wendy Sherman, and Deputy National Security Advisor Antony Blinken to be possible contenders to succeed Burns as Deputy Secretary. The Syrian civil war has become an “incubator of extremism” and a “magnet” for foreign fighters, and poses growing risks to U.S. interests and allies, U.S. officials told frustrated lawmakers Thursday. The three year old conflict is also likely to go on for a long time, they assessed, as it pulls in foreign fighters from both sides of the Sunni-Shia sectarian divide, and both Bashar al-Assad and his opponents believe they can win. “The hard reality is that the grinding Syrian civil war is now an incubator of extremism, on both sides of the sectarian divide.” Deputy Secretary of State William Burns told the Senate Foreign Relations Committee Thursday, at a hearing on the Syrian civil war that led off with the deepening US-Russian rift over Ukraine. That grim assessment may portend the U.S. deepening its support for Syrian opposition fighters now battling both Al Qaeda-linked groups and Assad, and stepped up U.S. counter-terrorism efforts, in coordination with regional partners and European allies alarmed by the threat posed by jihadi fighters returning from Syria. Syria “has become the preeminent location for independent or al-Qaida-aligned groups to recruit, train, and equip a growing number of extremists, some of whom we assess may seek to conduct external attacks,” Matthew Olsen, director of the National Counter Terrorism Center (NCTC), testified (.pdf). US policy on Syria is to counter extremists, boost moderates, and shore up Syria’s embattled neighbors and population with aid to withstand the protracted conflict, Burns told lawmakers. With the Syrian opposition battling a two-front war against Assad and the Islamic State of Iraq and the Levant (ISIL), it has lost some ground, reducing pressure on Assad and his patrons to make concessions on a political transition at the Geneva talks, while seemingly increasing US willingness to coordinate increased assistance to opposition forces. “Strengthened moderate forces are critical both to accelerate the demise of the Asad regime, and to help Syrians build a counterweight to the extremists,” Burns said. Lawmakers on the panel expressed frustration and exasperation that the situation in Syria has deteriorated so drastically over time, with some suggesting it was partly a result of over-cautiousness and inaction by the Obama administration. “What does the administration expect to do to change the equation on the ground in Syria now that it’s become what it is,” Sen. Bob Corker (R-Tennessee), ranking Republican on the foreign relations panel, asked Burns. He said that Secretary of State John Kerry had suggested to him and other lawmakers at a meeting last month that the US was on the verge of announcing a more assertive US policy on Syria. But administration statements that it is stepping up support to Syrian opposition fighters is something that some lawmakers said they had heard before, only for the conflict to intensify and the death toll to mount, while straining the fragile stability of neighboring Lebanon, Iraq, and Jordan. “100,000 people ago we were hearing this,” an exasperated Corker said, referring to the mounting death toll in Syria’s three year conflict, now estimated to be as high as 140,000 people. The conflict is unlikely to end soon, the NCTC’s Olsen said, as both sides are digging in for a protracted fight. With negotiations set to begin in February between Iran and the P5+1 on a comprehensive nuclear accord, Burns said President Barack Obama’s estimate of 50-50 odds of reaching an agreement is not bad, considering the context. Full report and interview here. Earlier reports on the US-Iran channel: Burns led secret US back channel to Iran (Nov. 24, 2013); Three Days in March: New details on how US, Iran opened direct talks (January 8, 2014). Late last February, after six world powers and Iran wrapped up nuclear talks in Almaty, Kazakhstan (Feb.26-27), two members of the U.S. nuclear negotiating team secretly flew to Oman where they rendezvoused at a beach-front villa with two American officials who had arrived from Washington. Deputy Secretary of State William Burns and Jake Sullivan, Vice President Biden’s national security advisor, flew to the Arabian Sea port of Muscat from Washington. White House Iran advisor Puneet Talwar and State Department arms control advisor Robert Einhorn flew to Oman from the Almaty nuclear talks. For the first days of March, the American officials, accompanied by some administrative and logistical support staff, stayed at a beach-side villa owned by Oman’s Sultan Qaboos bin Said, whose government had regularly offered to discreetly host US-Iran talks safely away from the media spotlight. In Oman, the US officials met with an Iranian delegation led by Iranian Deputy Foreign Minister Ali Asghar Khaji, Al-Monitor has learned. 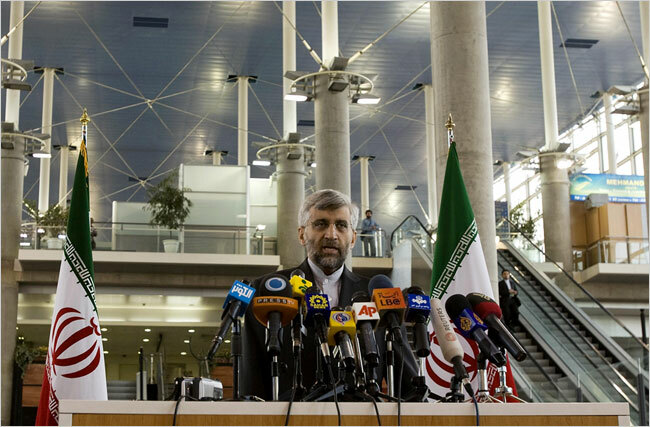 Khaji, then Iran’s Deputy Foreign Minister for European and American affairs, had previously served as Iran’s envoy to the European Union in Brussels from 2008 to 2012. In Brussels, in January 2008, Khaji accompanied Iran’s new nuclear negotiator Saeed Jalili to a dinner hosted by then EU High Rep and chief nuclear negotiator Javier Solana, a US cable published by Wikileaks notes. In March 2009, Khaji became the first Iranian official to meet with NATO in almost three decades, to discuss Afghanistan, NATO officials said. After he became Deputy Foreign Minister in 2012, in his capacity as the Iranian diplomat who oversaw Europe and American issues, Khaji regularly liaised with Swiss officials who serve–in the absence of official US-Iran relations–as the U.S. protecting power in Iran. But Khaji wasn’t a figure particularly well known to western Iran watchers. In Oman in March, both Khaji’s and Burns’ teams, as well as their Omani hosts, went to some lengths to keep the unusual meeting off the radar. Burns, the second highest diplomat in the United States, did not appear on the State Department public schedules at all the first four days in March, without explanation. Similarly, Iran’s Foreign Ministry and media published nothing about Khaji’s trip to Muscat, although his March 7 trip to Switzerland, a few days after the secret talks with the Americans, was announced by his Swiss Foreign Ministry hosts and received press coverage. The next week in March, Omani media also extensively covered the visit of Iran’s Foreign Ministry spokesman Ramin Mehmanparast to Oman, including his visit to the Omani New Agency and with Oman’s Information minister, complete with photos, almost as if it were a decoy mission to draw attention away from the earlier one. Both US and Iranian sources briefed on the US-Iran March meeting in Oman say that while it allowed for more candid, direct exchanges than at the seven nation P5+1/Iran talks, that it did not show an opening for real movement in positions on either side before the Iran presidential elections in June. “It was a useful engagement, but not much progress was made, because the Iran leadership was not really interested,” a former US official, speaking not for attribution, said. “It helped provide some basis [for understanding]… It was clear that while there could be more intensive and candid discussions bilaterally, the real progress wasn’t going to be possible” before the Iranian elections. Another meeting was tentatively planned to be held in May, another former official told Al-Monitor, but the Iranians apparently backed out. The Omanis had encouraged the U.S., from before President Barack Obama came into office, to pursue prospects for direct dialogue with Iran, and regularly offered US envoys updates on the current mood in Iran officialdom on the matter. Oman’s Foreign Minister Yusuf bin Alawi “offered Oman as both an organizer and a venue for any meeting the U.S. would want with Iran – if kept quiet,” US Ambassador to Oman Richard Schmierer wrote in a December 7, 2009 US cable to Washington, released by Wikileaks. Iran “is ready to begin a quiet dialogue ‘at a lower level’ with the U.S.,” Sultan Qaboos’ long-time special Iran envoy and Culture Minister Abdul `Aziz al-Rowas told the previous US ambassador Gary Grappo, according to an April 2009 cable he wrote to Washington. But efforts by the Obama administration to get direct talks going with Iran were frustrated by domestic turmoil in the wake of Iran’s disputed June 2009 presidential polls. 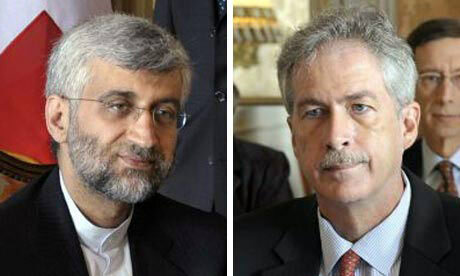 In October 2009, Burns and Iran’s Jallili met one-on-one, on the sidelines of P5+1 Iran nuclear talks in Geneva, at which a nuclear fuel swap deal was announced. But Iran later backed away from the agreement, after it came under domestic criticism. Increasingly convinced that Iran was paralyzed by domestic political infighting from moving forward on a nuclear compromise, the U.S. and Europeans moved in late 2009 and 2010 to persuade international partners that it was time to increase economic pressure on Iran to try to bring it to seriously negotiate. P5+1 talks with Iran ground to a halt at a gloomy January 2011 meeting in Istanbul attended by a grim-faced Burns. Iran’s Jalili, complaining of a headache, had avoided attending most of the meeting, and had refused to meet with Burns. Nuclear talks between the six world powers and Iran would not resume for over a year, until April 2012. But the Omanis persisted, throughout the diplomatic stalemate, with their quiet efforts to forge US-Iran dialogue, and their patience eventually paid off. In 2011 and 2012, Talwar and Sullivan–then serving as deputy chief of staff and policy planning chief to Secretary of State Hillary Clinton–participated in at least two lower-level, “preparatory” meetings with the Iranians, facilitated by the Omanis, to see about the prospect of a bilateral channel to be led on the US side by Burns, a former US official, speaking not for attribution, told Al-Monitor. Those preparatory talks included a July 7, 2012 meeting in Oman attended by Sullivan and Talwar, but not Burns, the AP reported. “It turned out the Iranians could not move forward with the talks at that point,” Talwar said, referring to the March 2013 meeting in Oman led by Burns and Khaji. But the US-Iran back channel got traction after the election of Hassan Rouhani, and gained rapid pace after an exchange of letters in August between Presidents Obama and Rouhani. “President Rouhani and the Iranians agreed to move forward with the talks at that time,” Talwar said. Since Rouhani’s inauguration in August, there have been at least five rounds of bilateral talks between the U.S. and Iran, in Oman, New York and Geneva. On the U.S. side, they’ve been led by Burns, and on the Iran side, by Khajji’s successor, Iranian Deputy Foreign Minister for European and American affairs Majid Ravanchi, sometimes joined by his colleague, Iranian Deputy Foreign Minister for Legal and International Affairs Abbas Araghchi. Both Araghchi and Ravanchi are members of Iran’s nuclear negotiating team, led by Iranian Foreign Minister Mohammad Javad Zarif. US Middle East peace envoy Martin Indyk is expanding his team as the U.S. prepares to intensify its role facilitating Israeli-Palestinian peace talks. To that end, he has grown his office's ranks. Julie Sawyer, a career civil service officer who most recently served as Persian Gulf director on the National Security Staff, has joined Indyk’s team as his traveling senior aide. Sawyer previously served as a Middle East advisor to Deputy Secretary of State Bill Burns. Sawyer joins a team that already includes deputy envoy and longtime Kerry confidante Frank Lowenstein. Ilan Goldenberg, a former Middle East advisor at the Pentagon and Senate Foreign Relations Committee staff, has joined the office as chief of staff. USAID deputy assistant Middle East administrator Hady Amr has joined the envoy’s team as an economics advisor. Michael Yaffe, a career foreign service officer specializing in Middle East and arms control issues, has joined the envoy’s office to do international outreach with organizations such as the Arab League and the Quartet. Yaffe came to the envoy's office—next to the State Department’s Near East Affairs bureau—after serving as a professor and dean at the National Defense University’s Near East South Asia center for strategic studies. The Pentagon has seconded an official to work with the team on security issues. David Wallsh, a Fletcher PhD candidate in Middle East and international security studies, joined Indyk's team last week to work on security issues related to the peace process. In addition, retired Marine Corps Gen. Jon Allen, the former Afghanistan and Centcom commander, has been leading a security dialogue with the Israel Defense Forces to help address Israel’s security requirements, Indyk told the J Street conference. 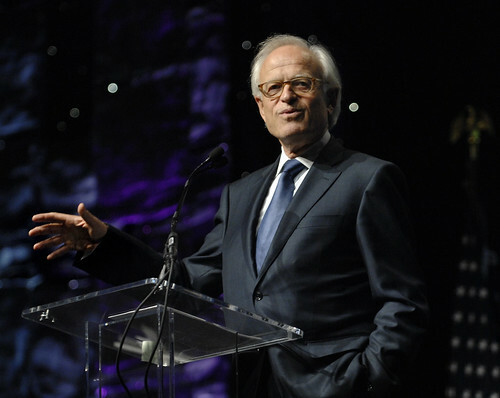 Indyk’s shop is expected to bring on someone to do outreach to the press, think tanks and the Hill, but sources would not yet disclose who that will be. The growing ranks signal the seriousness of the negotiations effort, and the commitment to it by Secretary Kerry and President Obama, officials say. While Israeli Prime Minister Benjamin Netanyahu, speaking Sunday at Bar Ilan University, said negotiations were stuck over the Palestinian refusal to date to recognize Israel as a state of the Jewish people and to thereby give up the right of return, Palestinian Authority President Mahmoud Abbas reportedly made reassuring comments in a meeting Monday with some members of the Israeli Knesset. Relatively little has leaked from the talks to date, which have been conducted with little fanfare or publicity in the region since Kerry formally relaunched talks in Washington in July and named Indyk as envoy. The White House and Secretary of State John Kerry are considering nominating State Department counselor and former OMB deputy director Heather Higginbottom as the next Deputy Secretary of State for management and resources, several current and former U.S. officials say. The second Deputy Secretary slot, currently vacant, was previously held by Tom Nides and Jack Lew, now Treasury Secretary. “Kerry recruited Heather from OMB with an eye towards putting her in a confirm-able position soon, but he didn’t want to delay her arrival by several months during his transition period,” an administration official, speaking not for attribution, told the Back Channel Wednesday. Higginbottom served in the Obama White House as deputy director of OMB from 2011 to 2013, and as Deputy Assistant to the President for Domestic Policy from 2009-2010. She previously served as legislative director for then Senator Kerry from 1999 until 2007, and on Kerry’s 2004 presidential campaign. She didn’t respond to a query Wednesday. With his successor nominated, US Ambassador to Brazil Tom Shannon is heading back to Washington soon. While his next interim assignment is unclear, some current and former U.S. officials tell the Back Channel that the Obama administration is considering nominating Shannon to be the next U.S. ambassador to Turkey, possibly in the fall or in 2014. Sources cautioned however that plans could change depending on other moves afoot in the upper ranks of the State Department bureaucracy. Shannon said he expects to head next to Washington, but couldn’t comment beyond that. President Obama recently nominated Deputy Assistant Secretary of State for Western Hemisphere Affairs Liliana Ayalde, a former ambassador to Paraguay and senior USAID official, to succeed him in Brazil.